Have You Been Refused Access to Child Care? If you believe you have been denied access to child care because of special needs or subsidy, please contact the child care provider first so they have the opportunity to respond to your concern. 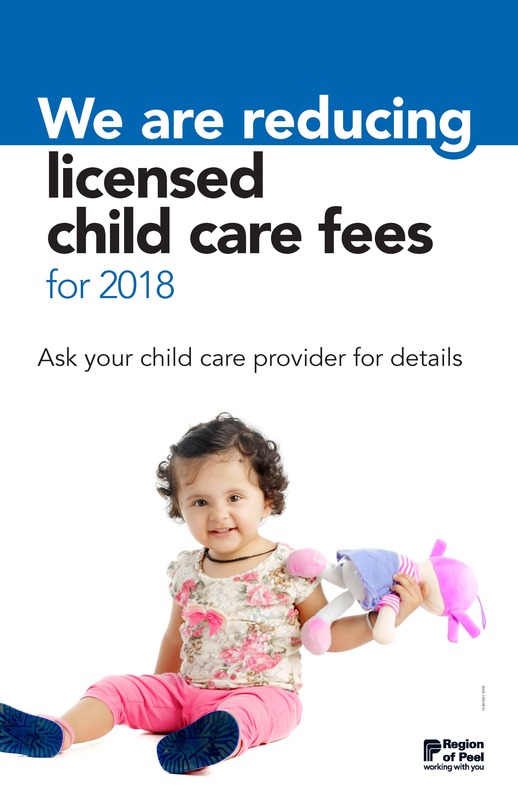 Reduced Licensed Child Care Fees ! Alex and Ani Event at Square One! Join us at the Alex and Ani Store at Square One on Friday December 8th from 4 pm - 7 pm as we meet community members, and inform them on CDRCP's programs and services in a fun and fashionable way! The Quality Initiatives team at CDRCP provides innovate, inspiring, and enjoyable professional education opportunities for the Child Care and Early Years community. Many educators, and professionals in the sector participate to enhance their skills, develop new strategies, and learn best practices from topic experts and other professionals. Find out how easy it is to register and stay connected to all of the learning opportunities CDRCP has to offer! Resource Centre's Most Popular Items! Are you looking for fun activities to integrate into your classroom or learning environment? The Resource Centre at CDRCP contains various materials for educators and parents to introduce to young children. With over 5000 resources available for loan it can be tricky to narrow down what resources you should borrow… Here are the top 3 most borrowed items in the Resource Centre you can borrow today! Reflective Practice? What’s In It for You? Calling out all educators! Our Reflective Practice At Work series is back! If you are an experienced educator, just beginning in the early learning sector, or anywhere in-between, this series is for you. It’s essential in providing you with crucial insight and a richer understanding of your role in supporting the foundations of learning. Sometimes all we need is that little push in the right direction to reach our full potential. The Reflective Practice series will inspire educators to grow as leaders and develop their practice. What Does Canada Mean to You? Although leadership in the workplace is often mistakenly associated with positions of authority, it is not a job title. Leadership is a skill that anyone can possess and everyone should strive for. We each have the capacity to be leaders, and despite many of us exemplifying leadership qualities on a daily basis, we shy away from calling ourselves leaders. Why is that? For many families, choosing quality child care can be very overwhelming. It is an important decision as there are so many factors to consider when leaving your child in someone else’s care. Essentially, parents need to identify their needs and become informed before they can begin considering their options.